The great cult film is taken down live. 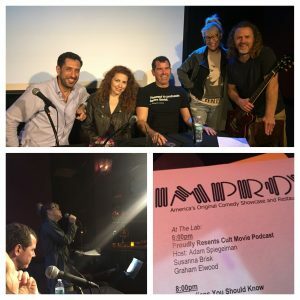 “Return to Nuke’em High” Live! 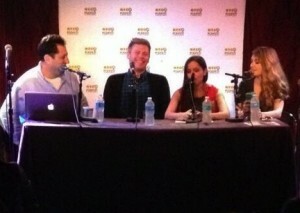 http://media.blubrry.com/proudlyresents/p/proudlyresents.com/media/prp146.mp3Podcast: Download | EmbedSubscribe: Android | Google Podcasts | RSS Live at the NYC Podfest – Guests: Christian Finnegan (Late Late Show) Mike C. Williams (Blair Witch Project) Asta Paredes & Catherine Corcoran (Return to Nuke’Em High) Robert Prichard (Class of Nuke Em High) and music from Ben Lerman. Of cours, hosted by me, Adam Spiegelman (Proudly Resents). I’m the one behind the laptop. First Asta and Catherine talked about their new “Nuke’em High” movie that opens at the Laemmle Noho this weekend.